our friend REYNA RIPPER has been hospitalized for a gun shot wound while we were on tour in Puerto Rico. Reyna is healing and OK but San Cha and Tyler stayed behind to care for Reyna in Puerto Rico and will not be continuing the tour. 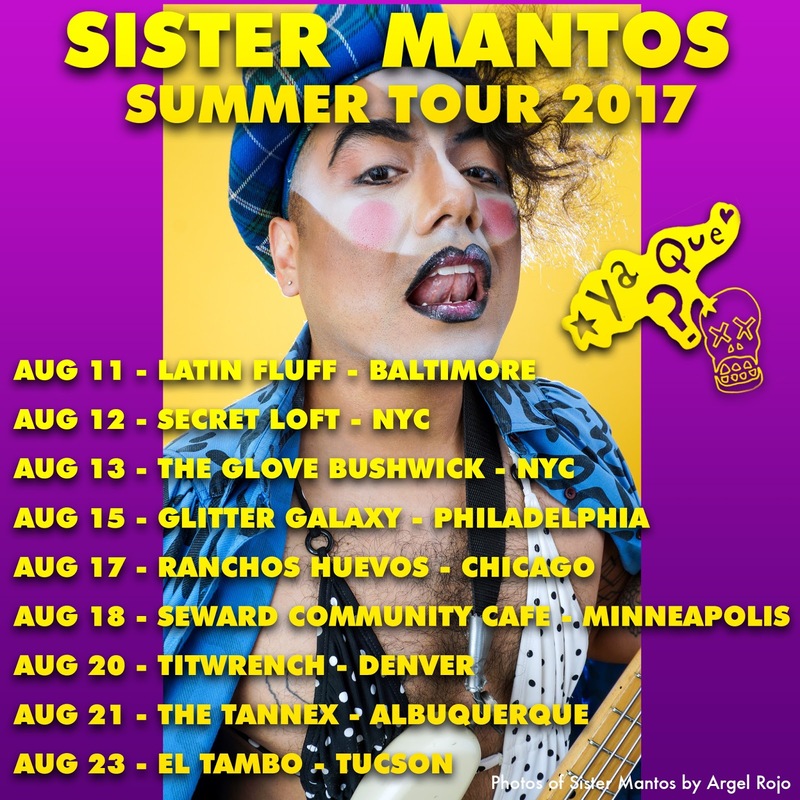 Sister Mantos is continuing the tour as a solo project. 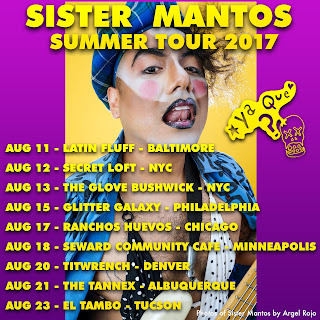 We look forward to sharing music, community and healing with all of y'all.